Neema Afejuku-Adelaja, M.D., FAAFP, has joined St. Peter’s Clifton Park Family Practice, a practice of St. Peter’s Health Partners Medical Associates. 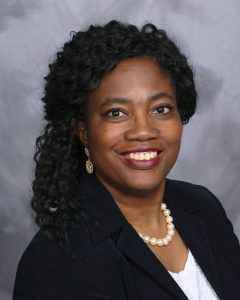 Dr. Afejuku-Adelaja practices family medicine. Her professional interests include primary care and acute care or patients of all ages, preventative health management, patient safety, and medical research and education. Dr. Afejuku-Adelaja received her medical degree from the University of Benin in Edo, Nigeria. After completing her residency at Ellis Hospital in Schenectady, she practiced as a family medicine physician with Ellis Medicine. St. Peter’s Clifton Park Family Practice is located at 1 Tallow Wood Drive, Clifton Park. For more information, click here, or call the office at 518-373-4500.